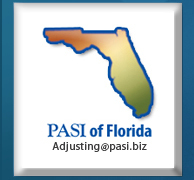 Our professional adjusters scope the loss and investigate all the damage to provide fair and accurate estimates. We determine the cause and origin of all claims, take detailed photos and recommend a precise reserve. Thorough reports are generated at regular intervals, depending on the magnitude of the claim and client’s specifications. Co-insurance is calculated on Commercial losses and valuations are provided on residential properties. 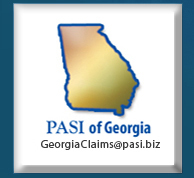 PASI focuses on providing personalized service to our clients and their insured’s by supplying them with our adjuster’s cell phone and email address. 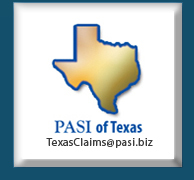 At PASI, we understand that during the adjusting process we are a representative of the insurance carrier and have an obligation to provide fair claims practices. We have a responsibility to help bring the insured back whole based on the endorsements and coverage under their policy. We have Specialist’s highly experienced in handling sinkhole claims. Our site investigations include scoping, photographing the damage, estimating an accurate cosmetic repair as well as conducting an extensive recorded interview with the insured. Various geotechnical resources are utilized for a complete and extensive investigation into the terrain, which includes ground penetrating radar (GPR), hand dug core samples and drilled core samples of the soil. Our adjuster’s canvass the neighborhood to obtain additional pertinent details regarding the properties located near the potential sinkhole. Our clients rely on us to provide prompt turnaround on potential sinkhole claims.